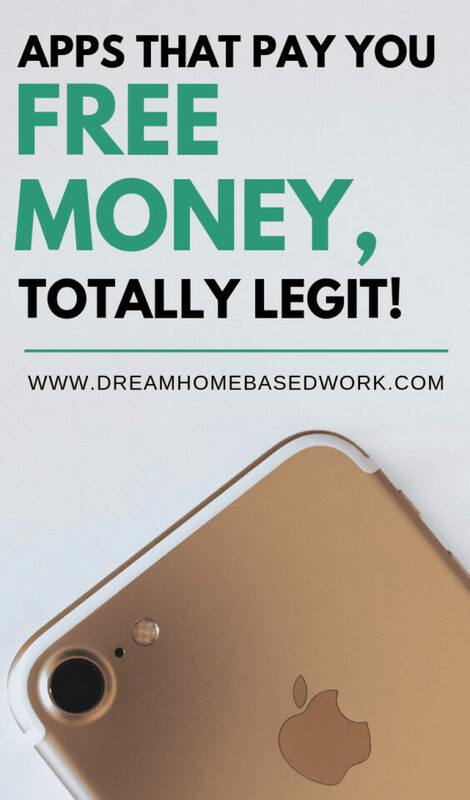 Home » Latest from the Blog » Make Money Online » Smartphone Apps » Best Phone Apps That Pay You Free Money, Totally Legit! Most people spend a ton of time on their smartphone. Sometimes all the apps can especially be distracting. However, you'd probably feel a lot better about your screen time if you could earn money with some apps. There are several apps that pay you free money for simply using your phone as you normally would. Some apps have been around for a long time and others a little more recently, but they all have something in common and that’s the ability to help you earn easy money and rewards. Sign up for Swagbucks here and earn points by completing simple tasks. Swagbucks is a great app to make you money. After signing up you can start earning points by taking surveys, watching ads, shopping, and playing games. The points can then be redeemed for gift cards. If you refer others to join and they earn 300 Swagbucks in their first month you receive 300 extra Swagbucks and 10% of their lifetime earnings. Need more info? Read my Swagbucks review. Slidejoy gives you the option to also earn but with them each time you get a notification on your phone you can either slide left to get more information, slide up to see another one, and slide right to return back to your home screen. The content is usually relevant to what you like and is a way to learn about the latest deals and news stories. When you are ready to cash out your rewards you can choose either PayPal or donate to a cause. You can choose to sell used textbooks and used books with BookScouter. You search by the books ISBN number and you can then compare prices of over 35 different buyback vendors. Ratings and reviews for each vendor will be included so you will have a peace of mind and confidence that you choose the right one. Shipping is free and you usually get paid the same day your book is received by the buyer. Go here to sign up for Bookscouter. App Trailers shows you previews of different new apps. Instead of having to download an app and test it out, App Trailers allows you to get a sense of an apps full functionality in just a 30-second preview. Normally that takes anywhere from 30-90 minutes, but the app cuts that time down a ton. If you like the app after the 30-seconds you are able to download the app right then and there. Another app that earns you money is Gigwalk. After registering your account you can apply for gigs through the Gig List. Gigwalk lets you choose when you want to work. This makes the app good for either people who are looking for a full-time side hustle or just a few hours to go with their regular job. Average tasks tend to be just a few minutes but can be as much as a few hours. You can be asked to do something as simple as verify business hours of a company. Earn cash by shopping with Ibotta. You might not even have to tweak your shopping habits very much. Just make sure before you go shopping you make sure they qualify and earn cash back. You can then get paid through PayPal, Venmo, or gift cards. Just simply take a picture of your receipt after shopping and you should be all set. Go here to sign up for iBotta or read my review here. Complete secret shopper tasks and earn with Mobee! Mobee pays its users to do secret or mystery shopping jobs for them. After you download the app and get set up the map will have a retailers and missions listed for Mobee users to take. Some mystery shopping tasks may include a small purchase at the store, but your reimbursement of that product will be included in the points you will receive back for completing the task. Another survey app to earn money from is Google Opinion Rewards. Surveys tend to get sent out once a week, but the frequency would depend on how well you match up with the surveys. Credits for completing surveys can be as much as $1. Over 400,000 users have given the app a 5-star rating. You can list all sorts of items for sale on Mercari. Old items that you no longer use are perfect candidates for Mercari. Get the shipping labels emailed to you as the seller when something is bought. Must items are ok to sell with a few exceptions like alcohol, cigarettes, counterfeit goods, and stolen goods. Take a few great photos of your item, write a notice description, and price fairly, and who knows maybe you will find this website very useful! Change the steps you do outdoors into cash with Sweat Coin. 1000 steps equal $0.95 Sweat Coins. You can use the money for certain purchases like classes, shoes, and an Apple Watch! You can even earn from riding a bike, but it is noted that for best results during this you should keep your phone in your pocket. Indoor steps aren’t currently able to be counted, but this update may come in the future. 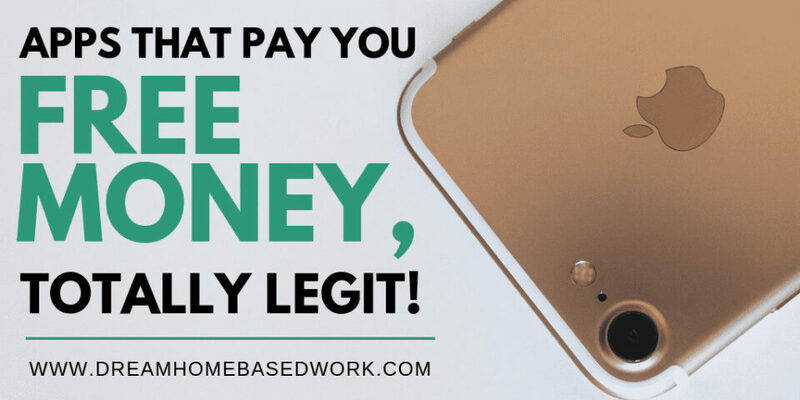 I suggest these 25 Simple Ways to Earn Money from Home, Possibly Today! You spend a lot of time on your smartphone anyway. You might as well try out some of these apps that pay you free money so you can earn some extra cash as well. Which app are you most interested in trying and why?